The previous chapter offered an exercise in “choice property affect” by illustrating the impact of strengthening a particular property individually in each of seven artefact domains. 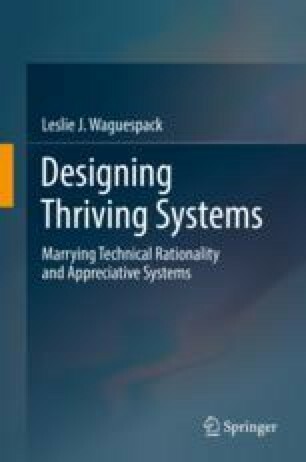 To explore the compounding of quality effects in property clusters, this chapter presents naming and framing a perspective of design quality on cybersecurity that “interprets” the clustered Thriving Systems choice properties. The design aspects entailing security are sourced from relevant literature of security, security design, and the challenges of cloud computing. Integrated through TST’s design clusters, those quality aspects offer a palpable depiction of the features prerequisite to stakeholder trust in cybersecurity.